You pride yourself on running a clean restaurant and you’ve instituted regimented cleaning plans for all of your staff to execute each and every day. But are you cleaning everything? 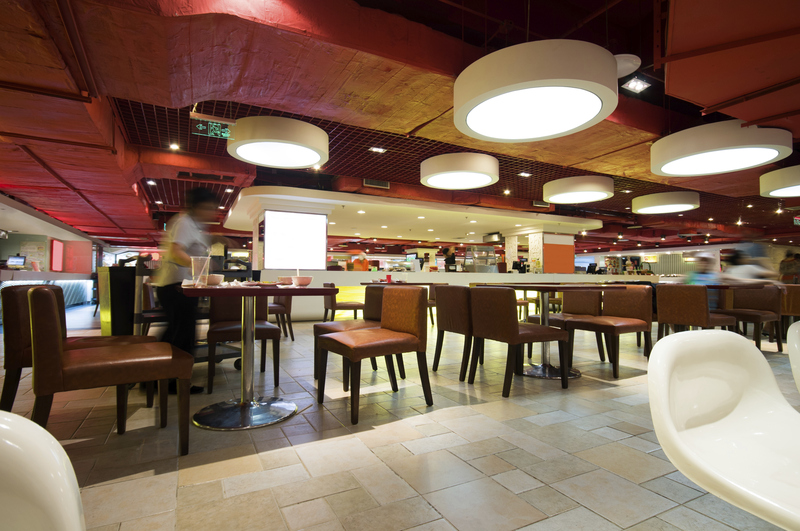 Your restaurant, after all, is a big place and there are plenty of little nooks and crannies that often get missed. And when they do, dirt and grime can pile up quickly. With that in mind, let’s round out your list with our suggestions for the six places many restaurants commonly forget to clean. The glass mats. This is an example of an often-forgotten area. Why? Because your staff is so focused on making sure the glasses stacked on the mats are clean, they forget about the mats themselves. On a daily basis this is no big deal but over time these mats can get sticky and even develop different types of mold. Cleaning these mats doesn’t have to be a daily chore but you should strive for at least once a week. Your host stand. On a busy night your host stand can be organized chaos, and because the real action happens inside your main dining area, the host stand can be forgotten. However, like every other aspect of your front entryway, a clean host stand is vital to first impressions. Because this area seldom requires more than a little picking up, tidying it should be part of every shift change. The tops of your appliances. Your staff cleans inside the microwaves, the refrigerators and the ovens but what about the top? These areas collect dust, debris and foodstuffs that can attract vermin. They may also collect grease — if near the grill — which increases their potential fire risk. Assign staff responsible for cleaning the rest of the appliance to wipe down the top as well. The mop sink. Home to a tool necessary to clean the rest of your business, the mop sink is often no more than a dumping ground for all that dirty water. Not all of it goes down the drain either. Spraying the mop sink out with soap and hot water once a week can reduce your mold risk and ensure all those remnants from previous cleanings go down the drain like they were supposed to. The nozzles. From your tea urns to your soda station, the nozzles that pour your customers’ beverages collect remnants of that service as well. And these particles build up over time. As they do, a dirty nozzle can hamper the product you pour, hindering the guest experience. Nozzles should be removed and soaked in a sanitary solution every night and then thoroughly rinsed the next day before being placed back on the machine. Your hoods. Located above the grill, your hoods and fan system collect grease and smoke and blow them out of your restaurant. Not all of it makes it out, however, and some of these remnants are collected on the hood walls. Wiping this area down with a towel each night reduces your fire risk, but for a more comprehensive, automated solution, Restaurant Technologies’ AutoMist cleans your hoods with a powerful sanitary spray that you set to run during the night. It’s an easy way to enter your restaurant every morning knowing one of your most important cleaning projects has been done and done right. To learn more about AutoMist and to see other ways Restaurant Technologies can improve the cleanliness of your restaurant, contact us today.